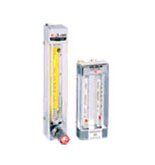 FA24 series glass tube flowmeter is designed and product by international advanced technology and equipment,the quality and performance are advanced in the world,featured with high accuracy,special design,the adjustable flange connection easy for installation.Change taper tube and float easily without move the flowmeter out of pipeline. 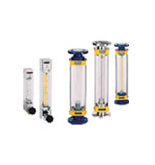 1.The pressure of the medium in the flowmeter, for the liquid shall be at least two times of the pressure loss;for the gas must be exceed 5 times of pressure loss. 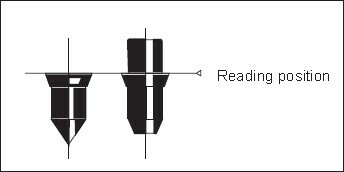 2.Accuracy class 1.5 can be ordered in special. 3.The maximal flow of corrosion resistant PTFE floater is one class lower than the conventional type. Material of flange、floater、guide rod、bearing plate and bolts are stainless steel 304(1Cr18ni9Ti ),model is of FA24-( )B. 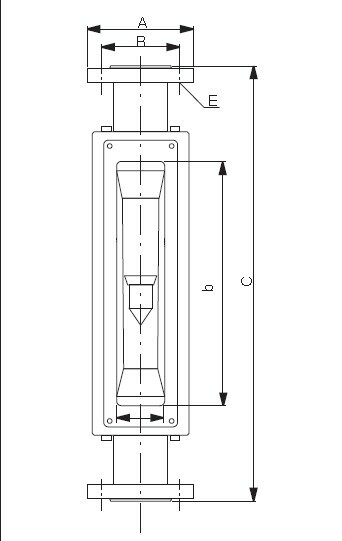 If Choosing touching material SS316,the model should be FA24-( )B0,which can be ordered as required. If Choosing stainless steel with PTFE lining,the model should be FA24-( )BF(SS316 is B0F) which can be ordered in special. Notes: If the medium is organic solvent,please note in ordering.